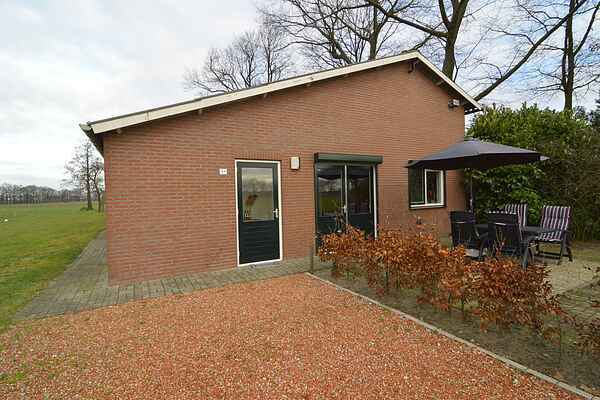 Tastefully furnished holiday home at the premises of an operating farm. The house is suitable for 4 persons, has two spacious bedrooms with luxurious beds and all windows have shutters. You have a beautiful view over the meadows. In addition, the house has a private garden and terrace to enjoy in the natural environment and rest. Children can have fun on the large lawn and trampoline. The house is situated in the city 'Aalten' close to the German border. 'De Achterhoek' is known for its many walking and cycling routes through the city center and the beautiful nature. For children there are special hiking routes in which adventure stories play a major role. Very popular is also the recreation area 'Slinge Plas'. Here you can swim, sunbath, surf and fish. A visit to the 'Slinge Plas' can be perfectly combined with a bike ride or walk. Children can also enjoy themselves in the indoor and outdoor playground Mega Fun in Lievelde.